During one of my lunch-time breaks from jury duty this week in York1, I came across a curious storefront a few doors down from York's Continental Square. Oh, and there were free postcards (pictured at the top of this post). So I thought that was super cool, of course. In the back of the small room, surrounded by carpentry tools, was The Spaceship, which is nearing completion. It's not a functional spaceship. At least, I don't think it is. 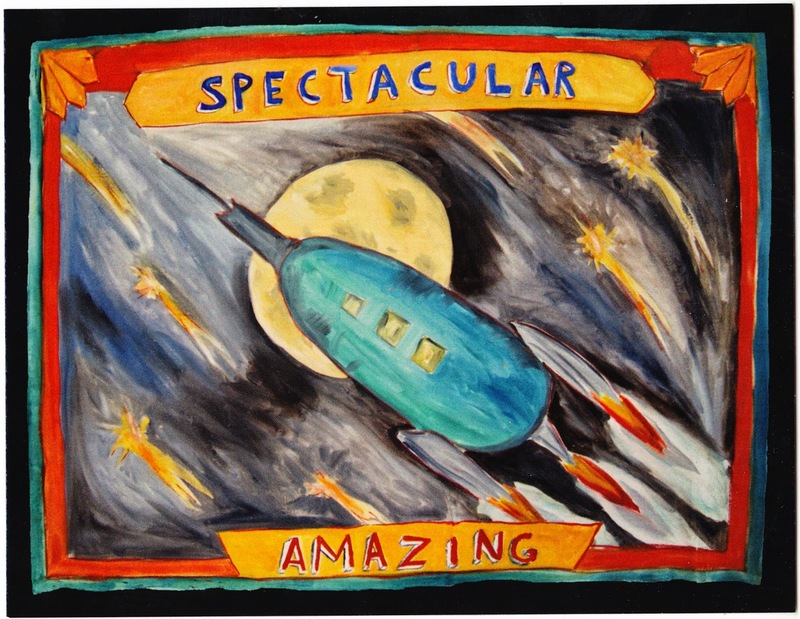 The mostly-wooden craft — which looks inspired by the likes of Jules Verne and Georges Méliès — is the artistic creation of "Chief Astronaut, Engineer, Mechanic, and Director" William Chambers, who is in the midst of a 2½-month project to launch the spacecraft and his collected ephemera into orbit. When I visited on Tuesday, Chambers was working on the hatch and windows. Because if you're getting shot into space, you kind of want to see where you're going4, lest you crash into Jupiter or something. Actual space travel isn't the point, of course. Mostly, Chambers is interested in where people are hoping to go. Their dreams for themselves and their city. "In our world today, people don't go to school to dream anymore," he told The York Dispatch last month. "And sometimes, as adults, we're out of practice." I Dream of A world where Our Eyes Can Meet In Trust And Love, And The Warmth of our Greeting Matches The Depth of our Souls. MY Dream is that one Day Man Kind will realize we are all we have and there is no Help coming from anyware Else any time soon. My dream is that my son lives a happy full life. And follow all his dream's where ever they may take him. My dream is to write A Novel. I want to see the world's priorities shift from a love of things to a love of people, thus ensuring safety, health, and abundance for everyone. To find life in other worlds. To learn about other life systems. To use that knowledge here. I want to know that the pursuit of space exploration isn't driven because we're running out of natural resources ... Instead, I'd love to know that we're going to show our mistakes & how we managed to 'Fix' Them so that others don't Fall in the same hole ... go vegan!! All of the dreams are scanned and posted at the Spaceship York website — timeandspacecollaborative.org. But, if you're a southcentral Pennsylvanian, you should really go see it in person if you have a chance this month. 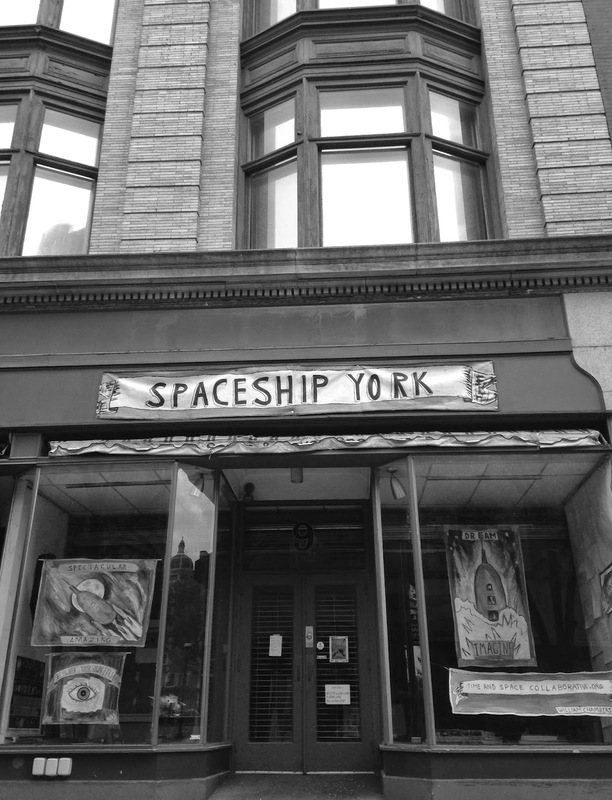 Spaceship York, supported by the Cultural Alliance of York County, is located at 9 West Market Street in York. "Lift off" is scheduled for June 5. "After the spaceship launches, Chambers hopes it lands somewhere where he can find it. He wants to take the crashed remnants with him on the road, and maybe start conversations with people about the project itself. He hopes, if nothing else, Spaceship York encourages people to reach for the stars." 1. Days of jury duty: Four. Number of trials chosen for: Zero. So I didn't get to live out any 12 Angry Men moments. ... I was, however, able to finish reading both The Curious Incident of the Dog in the Night-Time and Garbology: Our Dirty Love Affair with Trash during my many hours in the jury waiting room. 2. Many of which featured Cat Astronauts. Because why not? 3. Yes, we're talking about you, Wan Hu. 4. Even if you're a Cat Astronaut, you'd want a window. Unmailed vintage postcard to "soldier boy"